$24.50to keep our homeless neighbors out of the frigid cold! $50to provide safe, warm shelter for those in need! $78to allow our doors to stay open 24 hours a day! $110to provide warm meals and hot showers to those experiencing homelessness! 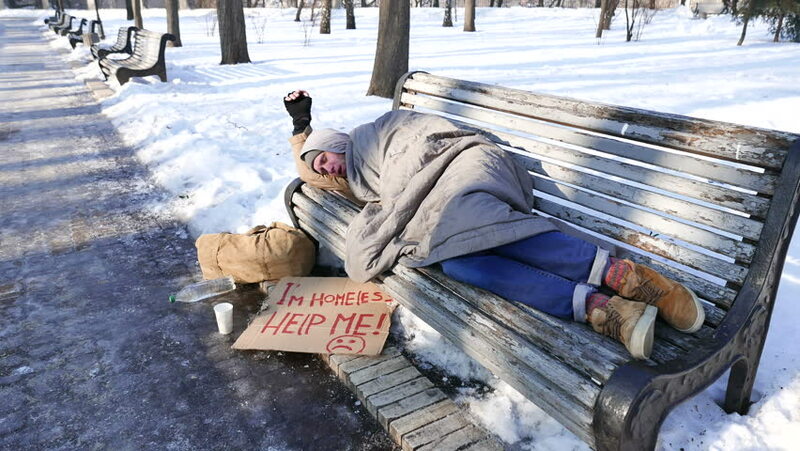 Statistics show that an average 700 people experiencing homelessness die of hypothermia annually in the United States. As the temperature here in Rhode Island drops, the risk of death from the cold increases exponentially. Combined with the factors of alcohol and drug use, the chances of someone being left out in the frigid temperatures multiplies. Here at the Mission, we treat safety and access to shelter as the utmost priority! the Mission goes into "Code Blue" mode! This means that we are open for shelter and meals 24 hours a day with no exceptions. No one has to worry about not having a place to find relief from the cold and snow. However, this is only possible with your help and support! Your generous gifts are what enable us to keep our doors open constantly during the winter!